What To Have In Mind When Buying Luggage? It is actually quite simple, when buying luggage you should have your travel needs in mind. The first question you need to answer is what kind of traveler are you. Are you a frequent traveler or not? Do you travel on business or leisure, or both? Do you mainly go on long or short journeys? Do you travel on your own or with others? Questions like these will help you define what kind of traveler you are. You then need to dig deeper. Where are you going and when? What is the purpose of your trip? What do you need to bring with you and what would you like to bring? The answer to those questions will help you to determine which luggage features are most important for you and what kind of luggage will suit your travel needs best. 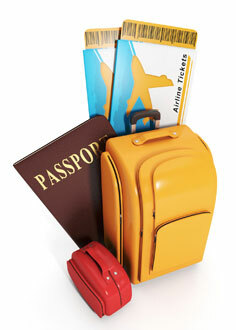 Most of us do different types of trips and therefore own few luggage pieces to fit different travel needs. B for Bag offers comprehensive luggage buying advice. We explore the pros and cons of different luggage types, i.e. wheeled, spinners, backpacks, duffels, laptop bags, etc. We explore what type of luggage suits best the different types of travelers, i.e. families, business people, adventure travelers, children, golfers, etc. We also offer advice about the different luggage features, i.e. what to have in mind when buying luggage. We go through the benefits of lightweight luggage, how to recognize quality luggage wheels, the pros and cons of different luggage materials, how to evaluate quality and durability, how to keep your luggage safe, the best luggage accessories, etc. There are many benefits of buying luggage online. First, it is the great variety of luggage on offer. You will not find luggage retail shop that can offer the same luggage range as you have access to online. It is very convenient as you can browse through the extensive luggage range in the privacy of your own home... coffee anyone! Buying luggage online is also easy. It has never been easier to navigate around online luggage stores and there are more and better quality photos to look at. You can read very helpful luggage reviews and quickly compare prices. Moreover, if you have any questions, there are number of ways for you to contact online shops with your inquiry. Most have FAQ (frequently asked questions) section, but if you cannot find your answer there, you can call them or e-mail. Most of the larger online luggage shops offer live chat where you can 'talk' to online representative. It is also safe to buy luggage online. Most online luggage retailers offer easy returns policies and either competitively priced or even free shipping (usually if you buy over certain amount). Many also offer some form of price guarantees, i.e. if you find the product cheaper within certain time they will reimburse the difference. Buying luggage online has never been easier, safer, or more fun.